the trusted name in transport services. 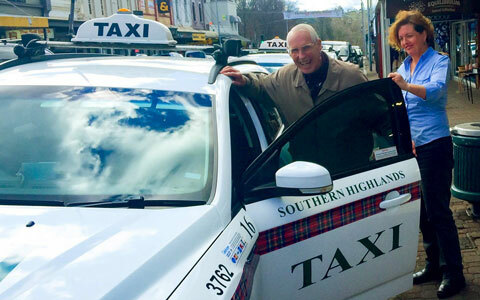 Southern Highlands Taxis have been serving our community for over 17 years. 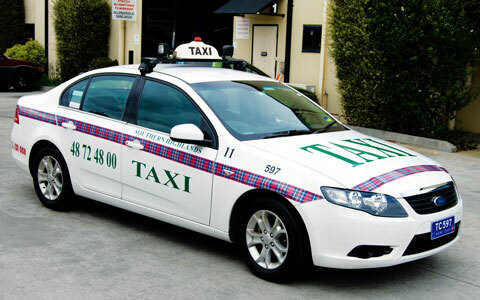 We have a proud tradition of providing safe, reliable and excellent taxi services 24 hours and 7 days each week. With over 60 fully trained drivers & support staff providing you first class service & your safety as our priority. 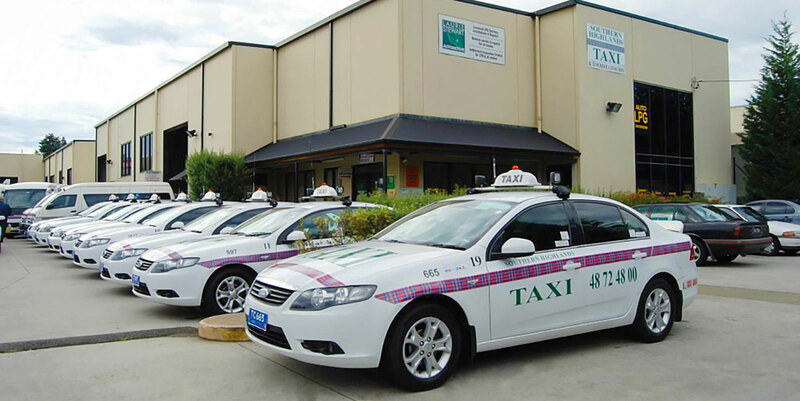 Our fleet includes sixteen late model cars and station wagons plus five Wheelchair Accessible/Maxi Cabs and has recently been upgraded to include six of the latest Ford Mondeo cars & wagons, all equipped with the latest in dispatch & safety technology. 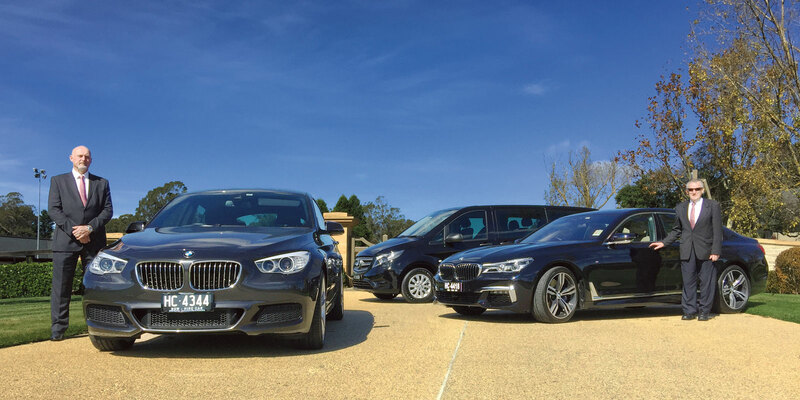 We also have two new chauffeur driven BMW Limousines and a new Mercedes-Benz Valente 7 passenger luxury wagon. Coaches from 21 seats to 61 seats are also available. Getting from here to there has never been easier. Proudly serving our community 24 hours, 7 days a week. Our taxis are meticulous cleaned and maintained for your safety and comfort. Our average taxi pick up times are less than 6 minutes, so you will be picked up and delivered to your destination in next to no time at all. 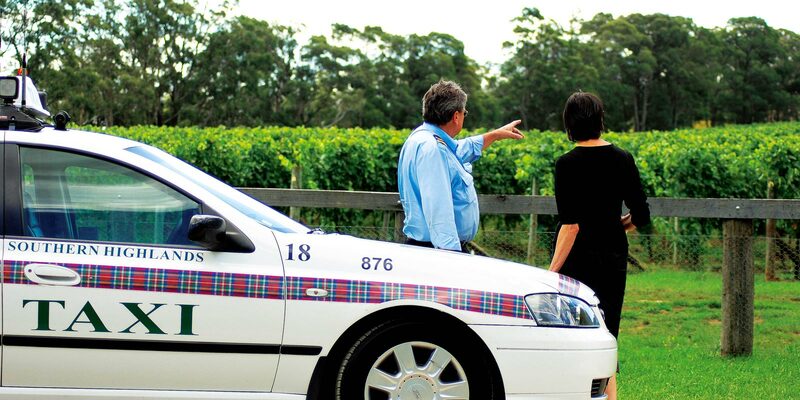 Join us for fabulous tours of the Southern Highlands magnificent scenery, rural properties & wineries. Our drivers provide informative and entertaining tours, ensuring a unique and memorable experience discovering the hidden gems of this spectacular region. 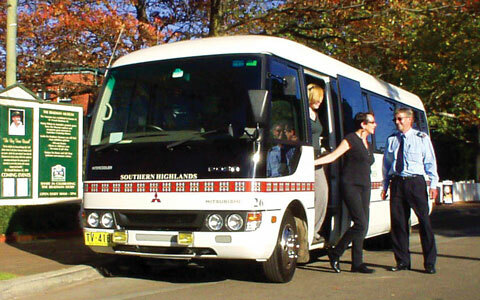 Whatever your needs and budget are, trust Southern Highlands Taxis, Limousines and Coaches to co-ordinate all of your wedding travel arrangements, from stylish chauffeur driven new BMW Limousines and a new Mercedes-Benz Valente 7 seater luxury wagon for the wedding party to our new luxury 33 seat coach for your guests. 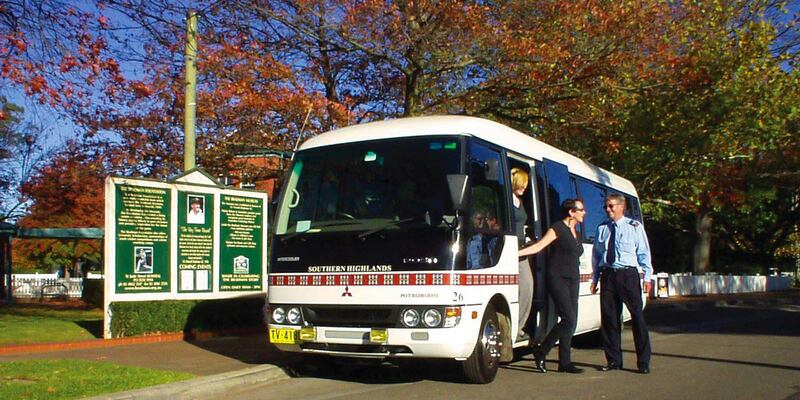 It may be a golf weekend or a trip to a sporting or cultural event, it may be a group to Sydney to catch a show. Whatever the reason, we can offer special rates to make the charter well worthwhile! 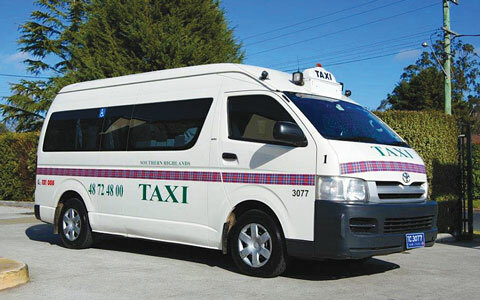 At Southern Highlands Taxi Service we understand the special needs of the disabled and elderly. Our wheelchair accessible taxis are available 24/7 with our specially trained & authorised drivers, all equipped with the latest in dispatch & safety technology. 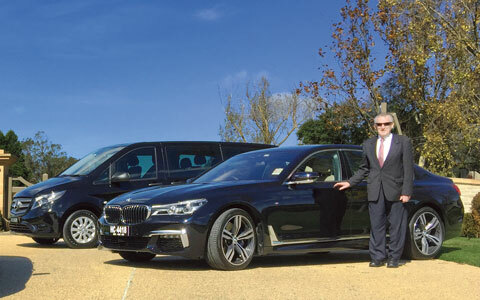 For the best value for money Sydney Airport and Cruise Terminal transfers to and from the Southern Highlands, our taxi, chauffeur driven hire cars and coaches do it in a ‘no fuss’ safe and comfortable manner which gets you to the airport or cruise terminal on time! Our plain white, very late model luxury Ford Fairlane Ghia sedans are ideal for long distance trips or that special outing. 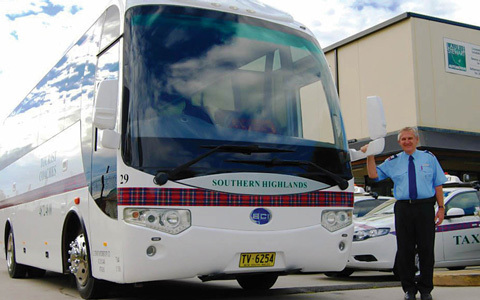 Ideal for that special outing including weddings, airport transfers, long distance trips or simply a tour of the beautiful Southern Highlands. 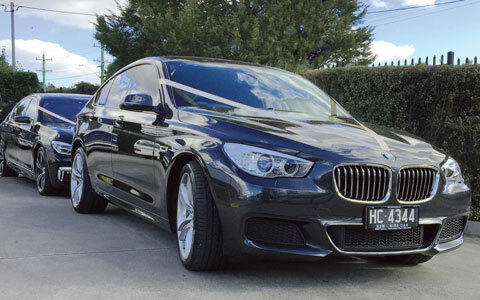 Our beautiful new BMW Limousines have joined our fleet, but they are only for discerning people! We also have a new Mercedes-Benz Valente 7 seater luxury wagon. 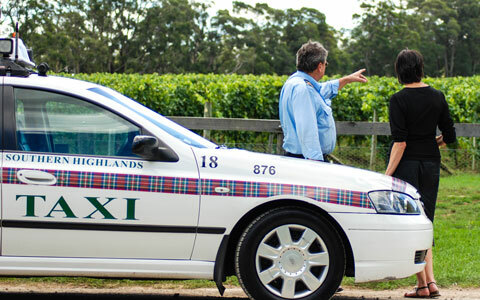 Ideal for special outings, weddings, airport transfers, long distance trips or simply a tour of the Southern Highlands. Laurie Stewart Automotive has one of the best equipped workshops in the Southern Highlands with expert technicians experienced in all makes of vehicles. Drop off your car or light vehicle for servicing or repairs and enjoy free transportation to and from our workshop in the Mittagong or Bowral area.